What’s the Price for the 2018 Porsche Panamera Turbo? How Many MPG Does the 2018 Porsche Panamera Turbo Get? What’s New for the 2018 Porsche Panamera Turbo? Fresh off a redesign from the previous model year, the 2018 Panamera Turbo is more luxurious than ever. It’s also equipped with a twin-turbocharged 4.0-liter V8 engine rated for 550 horsepower and 567 pound-feet of torque. In addition to supreme power, the adaptive air suspension means smooth cruising. The Panamera Turbo model is loaded with performance-based equipment, including 20-inch wheels and a four-way adaptive rear spoiler. This Panamera model is also big on style. Inside, you’ll find dark walnut wood trim and synthetic suede roof liner and pillar trim. There’s full leather upholstery, of course, to wrap you in comfort as you cruise up the coast. Plus, it’s easy to find the perfect spot behind the wheel. The Panamera Turbo comes standard with a power-adjustable steering wheel and 14-way power front seats with memory settings. The 14-speaker Bose audio system is another nice touch, providing audiophiles with the world-class sound they crave. Keyless entry and ignition make it easy to zoom into the sunset in style. In addition to the exclusive features of the Panamera Turbo, you’ll also find a long list of standard items to work with. Every 2018 Porsche Panamera features dual-zone automatic climate control, so driver and passenger can set two separate temperatures for personal comfort. After sunset, the auto-dimming rearview mirror reduces glare. The mobile Wi-Fi hotspot lets you bring your Internet connection with you wherever you go. Apple CarPlay smartphone technology displays apps on the 12.3-inch touchscreen infotainment interface, so you don’t have to look down at your phone to use it. 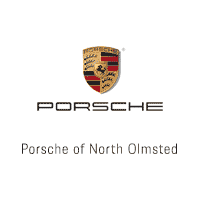 At Porsche of North Olmsted, we have your satisfaction in mind. The Panamera Turbo combines high-end luxury with twin-turbocharged performance – so it doesn’t miss much in terms of customer satisfaction. However, if you’ve got questions, we’re happy to help you sort them out. Stop by for a test-drive, and present any concerns to our friendly staff.